Here is free realistic cardboard box mockup to create a branding presentation with professional way. To simplify your work we came up with best and high quality mockup, you can download it freely. 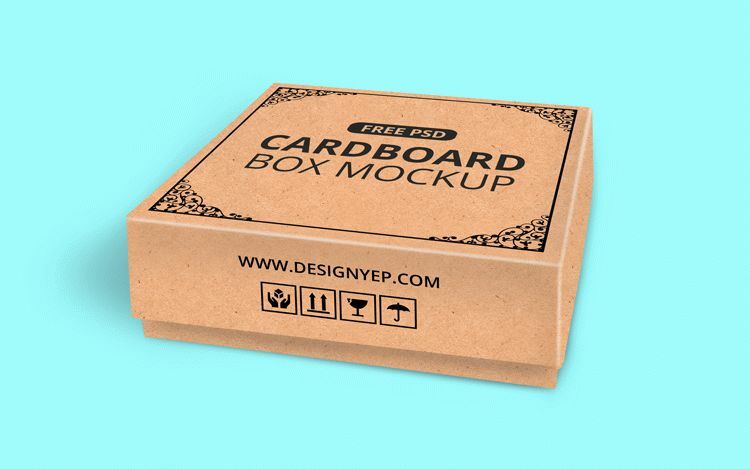 This cardboard box mockup is created with Photoshop, so you can edit with easy. Just double click on the smart object in the PSD file and replace your design in smart object layer.